A doomed railway station in a tunnel, a sudden collapse in 2012 and a bunch of rare classics hidden under decades of dirt. 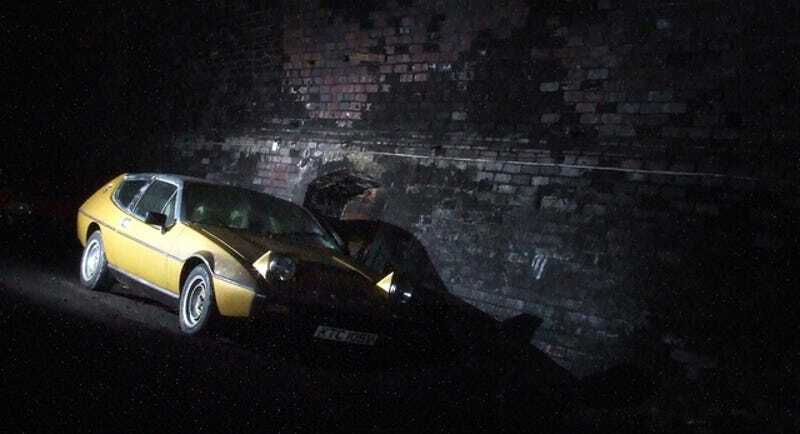 Meet Liverpool's hidden underground garage. Dingle station was an extension of the Liverpool Overhead Railway. It opened in 1896 and consisted of a short section of elevated line and a half-mile tunnel. There was also a short dead-end tunnel left un-faced because the Railway had plans to build an extension further out into the Liverpool suburbs — which never materialized. In 1901, just before Christmas on the 23rd of December at 5:00 pm, an incoming train cough fire in the tunnel owing to an electrical fault in the rear motor 240 feet away from the station. First, it seemed like everybody is going to be fine, but some stayed too close to watch or to try to extinguish the fire, and as the smoke filled up the station, six people suffocated including four members of the staff and two female passengers. Dingle station was shut down for more than a year, and during its rebuild, they tried to use more iron and less timber to prevent such disasters in the future. Dingle also survived the Luftwaffe bombings, but in 1956, the whole line was shut down, and in less than two years, the rails were gone too. The station was first sold to a rope manufacturer, but soon ended up in the hands of a car repair company. The street level building got demolished, and the station was altered so that cars could be driven in. In 1977, Roscoe Engineering took over and continued the car business until 2012. Oh, and a boat. Because Liverpool. Some were stolen and left hidden. Since, a garage has opened at the station end of the tunnel, and some of them were just clients cars which have been left, many of those are also suspected stolen too.